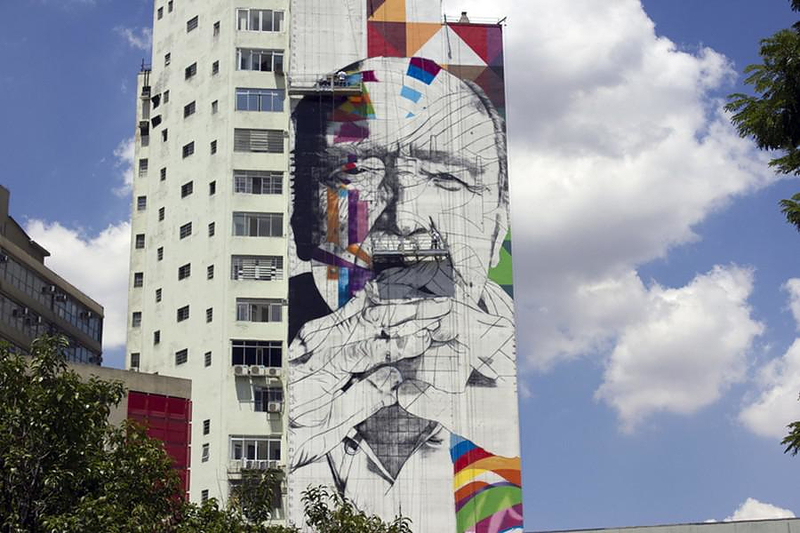 HomeBlogArchitectureMural tribute to Oscar Niemeyer by Eduardo Kobra. 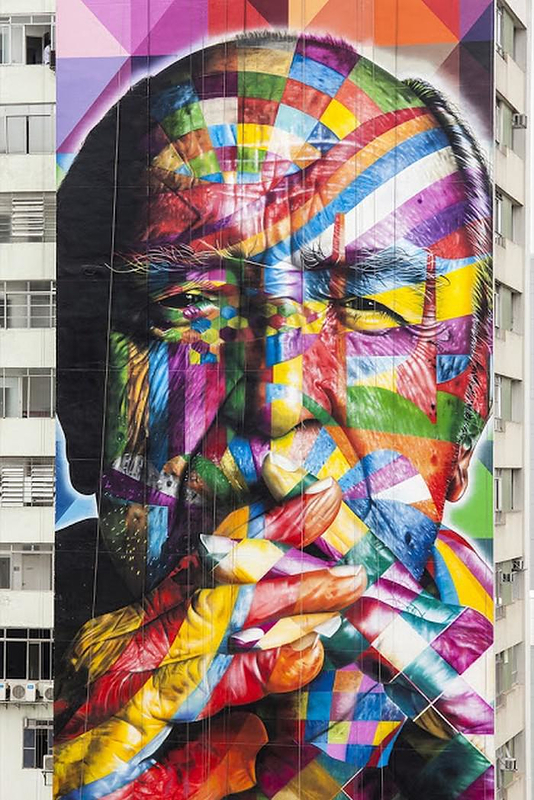 Brazilian street artist Eduardo Kobra has just finished his tribute to famous Brazilian architect Oscar Niemeyer, who passed away last December at the age of 104. 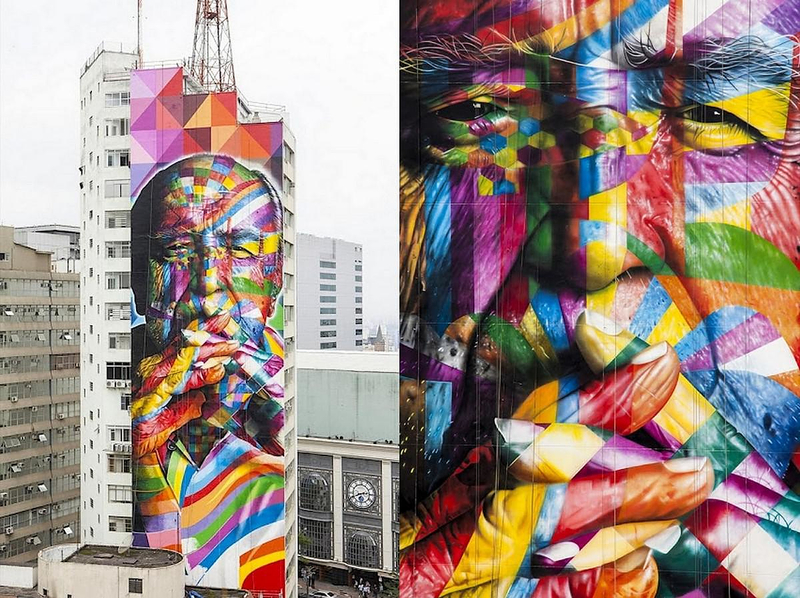 The iconic mural is 52 meters tall, 16 meters wide and it covers the entire side of a skyscraper on Paulista Avenue, one of Sao Paulo’s busiest streets. 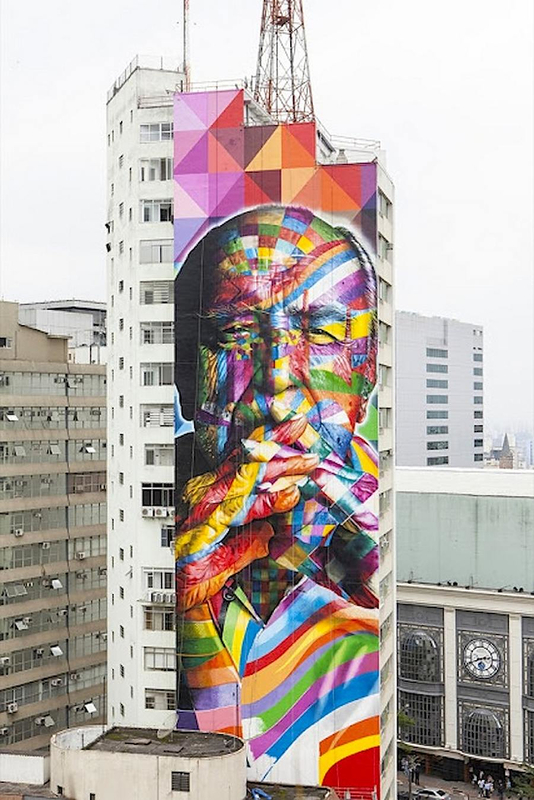 Eduardo Kobra, created a monumental work of art, a tribute to his compatriot, Oscar Niemeyer, an architect who is considered to be one of the key figures in the development of modern architecture. 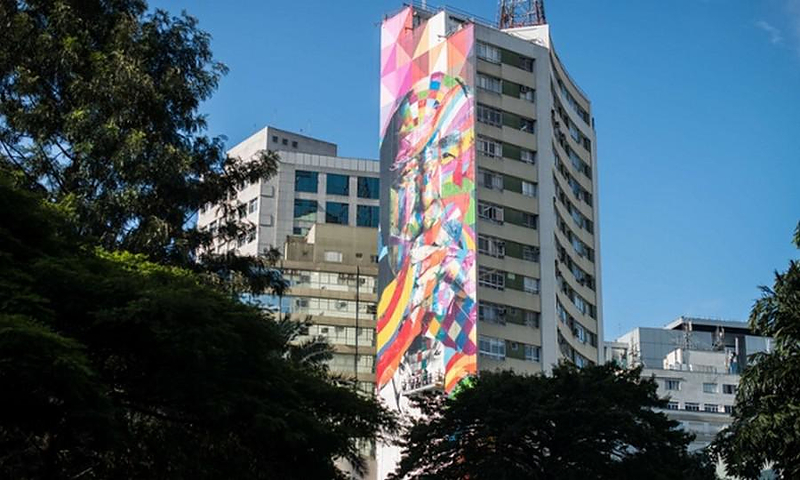 The graffiti artist, chose to paint a mural on the side of a skyscraper in the heart of the city of Sao Paulo. 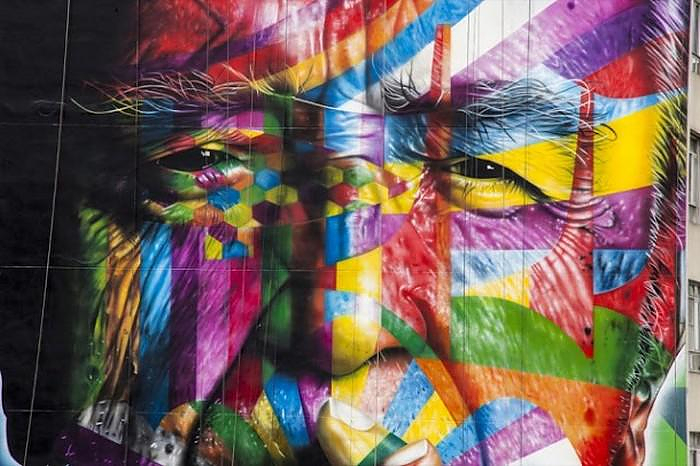 Kobra recreates Niemeyer’s face by assembling together countless colorful geometric elements into a colossal patchwork. The shapes he uses are not angular, but rather soft and round. After all the use of abstract forms and curves characterized Nimeyers’ work. “I am not attracted to straight angles or to the straight line, hard and inflexible, created by man. I am attracted to free-flowing, sensual curves.” – Oscar Niemeyer. Oscar Niemeyer passed away the last December, at the age of 104. Kobra began to work on the mural on the 14th of January. He chooses as action field the city center and as surface of creation the wall. These are two elements tightly connected with architecture and Niemeyer. His means are simple: pure, realistic outline (design), rich and intense colors. The 52 meters high wall is covered by a flawless designed portrait, with accurate airbrush lines. Then the color is applied. It is abstract, pop, geometric, orbital, and almost psychedelic. 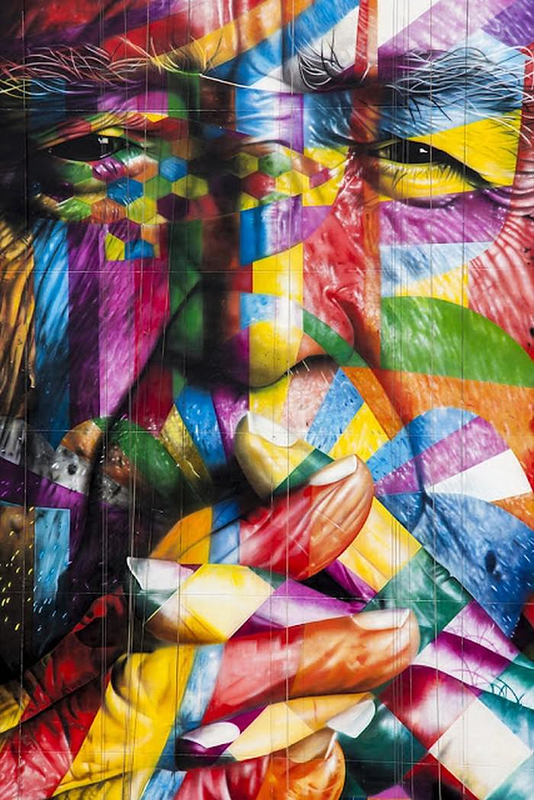 Eduardo Kobra uses a creative style, inspired and oriented to architecture and Niemeyer.